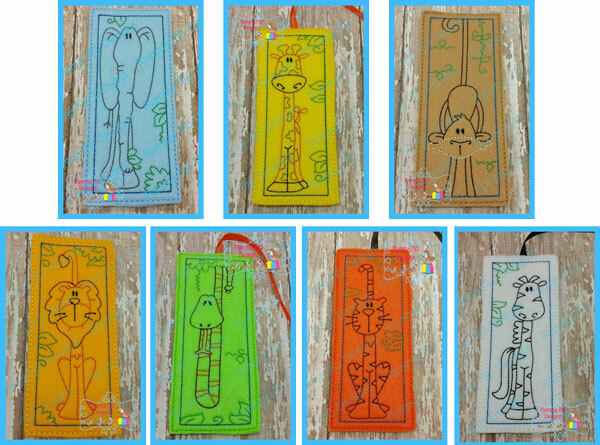 Your ZIP folder will include ALL 7 Jungle Bookmark files - a $28.00 value at a discounted price! Hoop size: 130mm x 180mm (5'"x7") and larger. 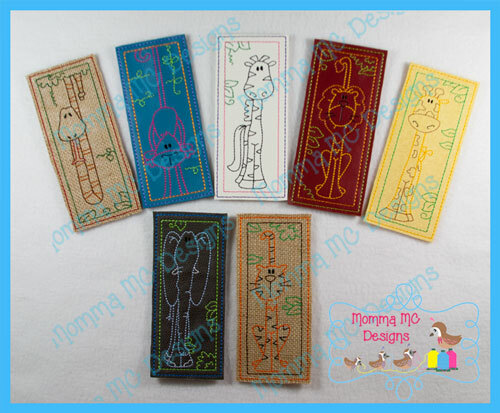 Finished size of each bookmark is approximately 2.5" x 6".